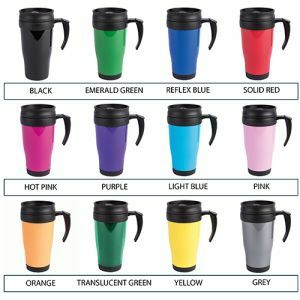 Promotional Thermo Travel Mugs are BPA Free custom printed insulated mugs complete with a double-walled design, sliding-sip sections on the lids and easy grip handles. 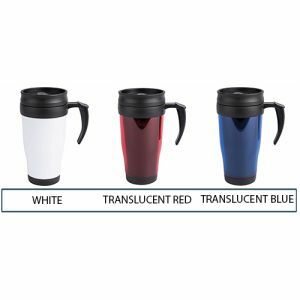 NEW for 2019 some colours of this travel mug will now come with a new and improved lid. 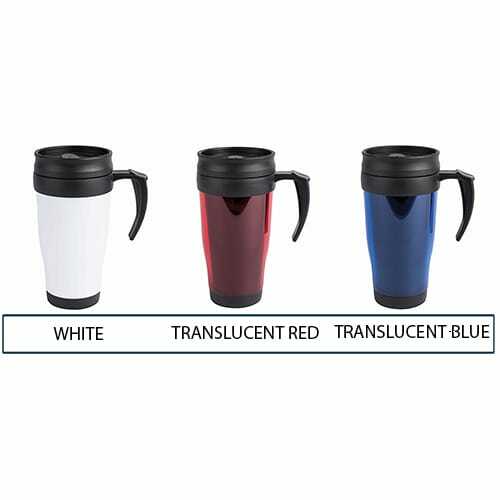 Available in a variety of translucent and solid colours. 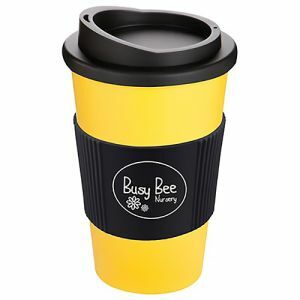 Ready for printing for maximised exposure of your logo, all while helping to maintain the temperature of your favourite beverage for longer. Please note this item is NOT spill/leak proof and NOT dishwasher safe. Manufactured from BPA Free PP and AS plastic. 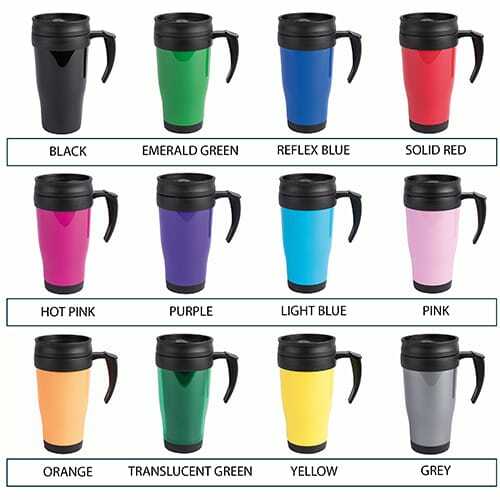 Look no further for your branded promotional Thermo Travel Mug, available in a selection of colours that could be delivered to you in as little as 5 working days. 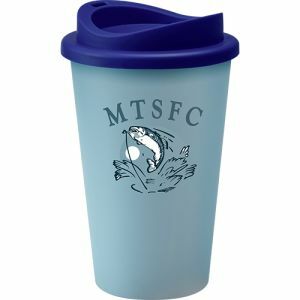 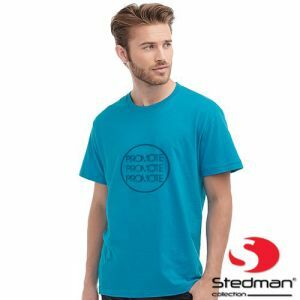 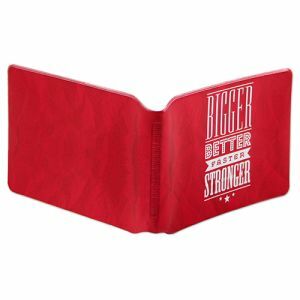 Maybe you want to reward your teams for doing a great job with this stylish accessory, while also promoting your business or worthwhile cause? 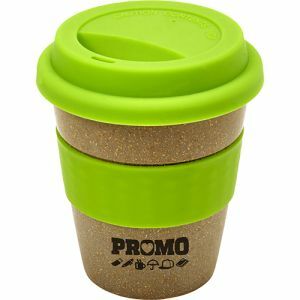 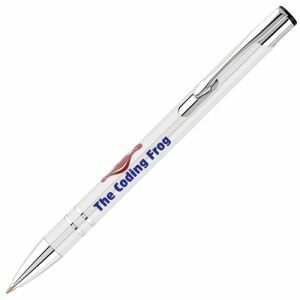 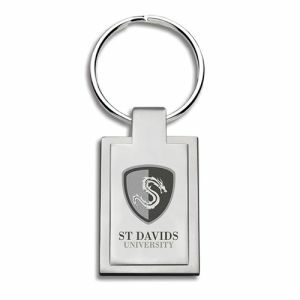 These make perfect gifts or giveaways for staff, suppliers, clients or even just for casual use. 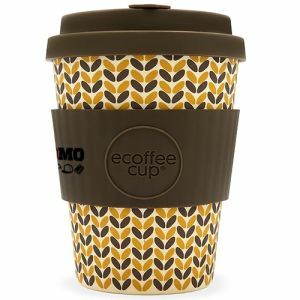 Help to keep your tea or coffee warmer for longer while you are travelling around, all while doing your bit for the environment, saving on takeaway plastic cups. Alternatively, make your hot drinks at home and save on takeaway drinks to take with you. 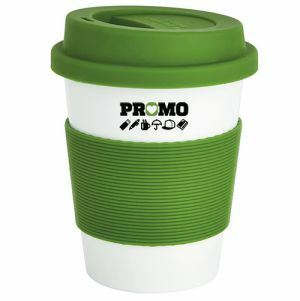 Offer a useful merchandise idea that can be used many times over, especially handy in the cold winter months. 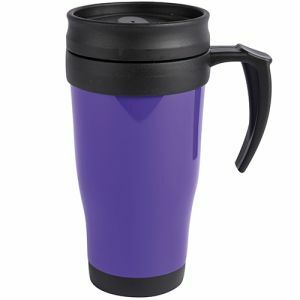 This product is great for on the go and comes in a wide range of colours. 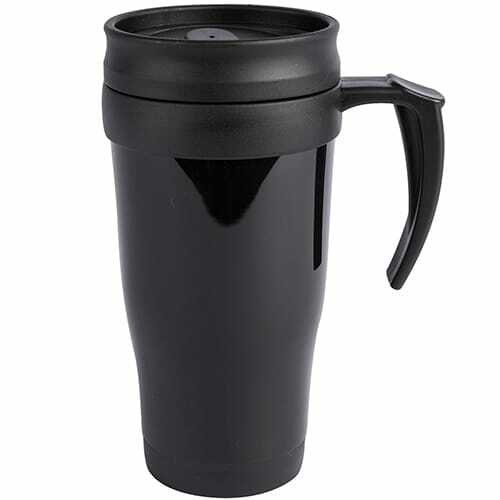 It can be used for hot and cold drinks and has a very short lead time for fast delivery. 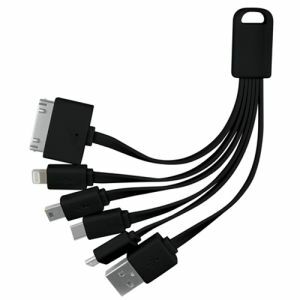 Good customer service, quick and helpful response provided. 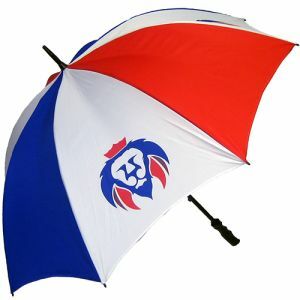 Order arrived as promised, printing on the objects looks / feel nice. 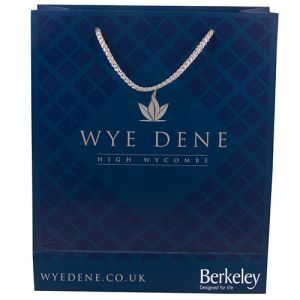 Overall nice shopping experience.